Your Summer go to dress is here. 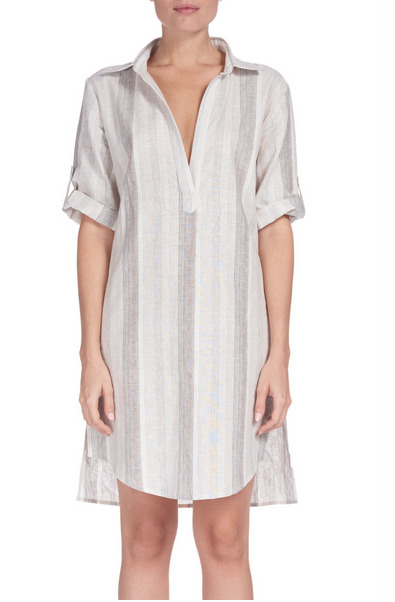 3/4 sleeve, linen and cotton v neck shirt dress with pockets. Throw on and go!